In a few hours we set off on a huge adventure!!! 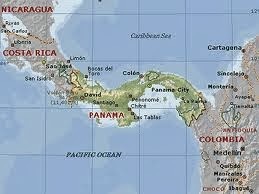 We are headed South to Panama. This will be our first International trip as a family. I am super stoked, and just a wee bit nervous. It is one thing navigating uncharted territory when it is just you or you and your partner, but throw a toddler in the mix and you have no idea what your gonna come up against. Why Panama you ask? 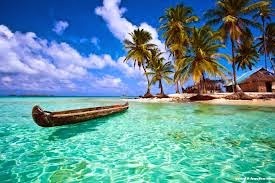 Well I traveled all over Central America when I was in my early 20's. A girlfriend and I packed our backpacks and headed down for about 5 weeks. It was a pretty amazing experience. Hard at times, yes, but mostly amazing! While down there, we came upon a quaint city, Antigua. This city was different from the rest. It was like a tourist hot spot, except all the tourists were speaking Spanish. I was super inspired. People from all over the globe came here to learn Spanish at the various Spanish schools. They stayed for about a month and lived with a host family. "I am so doing this", I said. Well it only took me 13 years, but I am finally making it back. Now with hubby and baby in tow. We will attend classes M-F from 8-12. Rob's sister is joining us to help out with our monster which is the best thing ever. I am so at ease knowing she will be there to help out. And after class, the hubby will go off to work a bit (he can work remotely from any location) and after he is back we will go off exploring. Weekends will be for the big adventures. I look forward to updating the blog with all our journeys.